Founded in 1912, by the Dahl family. The family found their roots the maritime industry as fishermen based out of Saginaw Bay, Alaska. In the 1940's the company was awarded a contract with the military, hauling mail to and from the Aleutians during World War II. At the time the company was called the Dahl Transportation Company. When the war ended, and there was no longer a need for mail transport. The company began hauling dried fish salted in brine from Alaska to Seattle, Washington, and made the return trip hauling meat and fresh vegetables. When business accelerated and the advent of refrigeration becoming readily available. Two Dahl brothers, Stanley Dahl and Fred Dahl Sr. purchased an old navy freighter and converted it to a freezer transport feighter that was 104(ft) long and began transporting frozen goods to and from Seattle, Washington. The service became known as the the Alaska Outport Transportation Association, which was founded by Stanley Dahl and W.R. Kuppler. Stanley Dahl eventually sold his portion of the stock in the Alaska Outport Transportation Association and started the Dahl Brothers Company with Fred Dahl Sr. In 1965, the current owner and operator, Fred Dahl Jr., joined with his father, Fred Dahl Sr. and began working along side Bob Voshel, who would later became a part owner of the company. Fred Dahl Jr. and Bob Voshel would later buy out Fred Dahl Sr. and Stanley Dahl. The company then became the D and V Boat Company. In 1967, the company acquired their first tugboat, known as the Double Eagle. 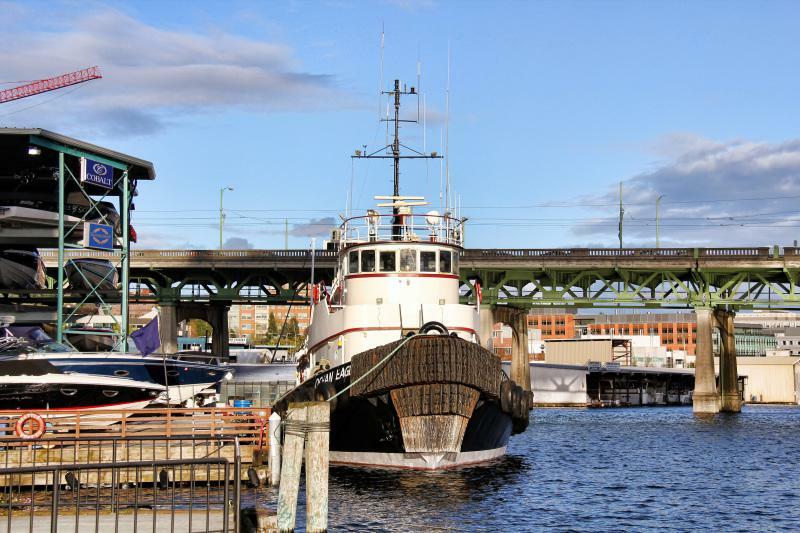 Since that time, the company has owned and refurbished many tugboats and hauled many different tows. In 2013, Dahl Tug and Barge Incorporated ceased operations.